The latest installment in the Marvel Cinematic Universe, Doctor Strange, opened in U.S. theaters to the tune of $85 million at the box office. This gives Marvel Studios its 14th straight movie to open number one at the box office. And yes, they have released exactly 14 movies. One likely reason for the Sorcerer Supreme's success in his first MCU appearance is the positive reviews the film is receiving. Not only does Rotten Tomatoes currently have Doctor Strange at 90%, but viewers have given the film an 'A' CinemaScore, suggesting positive word of mouth all around. While the positive reception was in no small part due to the film's strong script and mind-bending visuals, the acting was spot-on as well. Benedict Cumberbatch's performance made it seem like he was born to play Doctor Strange, while the supporting cast delivered as well. Despite the controversy surrounding her casting, Tilda Swinton gave an inspired performance as the Ancient One, as did Benedict Wong (as Wong) and Chiwetel Ejiofor (as Karl Mordo). As for the villain, Kaecilius (played by Mads Mikkelson), he was another "evil version" of a Marvel hero - one of the few criticisms that MCU films share. Doctor Strange ends with Kaecilius (and his followers) being pulled into the Dark Dimension after Strange's bargain with Dormammu. But, despite being removed from Earth and our reality, could we see Kaecilius pop up in a future Marvel film? Cinema Blend has now asked Mikkelsen whether he thinks the villainous sorcerer could return in the MCU one day. In response, Mikkelson said, "I don't know. He was not looking too sharp in the end of this movie, but you never know." After being reminded that Kaecilius technically did not die, Mikkelson added, "Yeah, it's like [snaps] a blink of an eye away." It certainly does not sound like Mikkelson is aware of any future Kaecilius plans - though, to be fair, would he really tell us if he was? Following Doctor Strange's success at the box office, it seems inevitable that the Sorcerer Supreme will return for a sequel. Of course, before then, he will join the rest of Earth's Mightiest Heroes in Avengers: Infinity War. 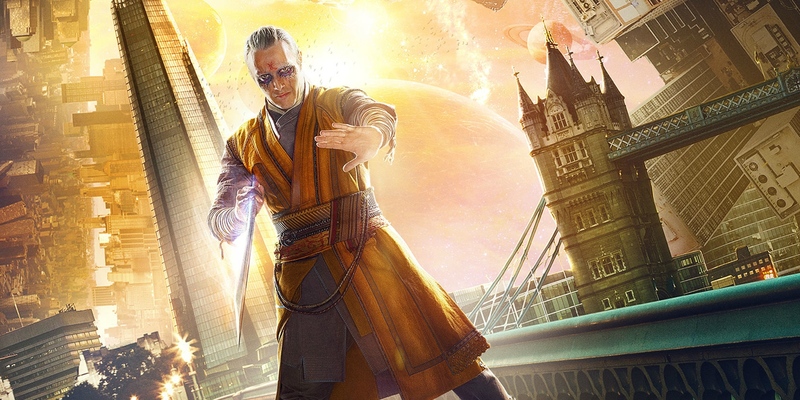 Should Kaecilius return, it would likely be in an Avengers film and not the Doctor Strange sequel - as from the looks of the film's post-credit scene, it appears that Karl Mordo is being set up as Doctor Strange's next main antagonist. Perhaps, though, Thanos makes a deal with Dormammu to allow one of his zealots to return to Earth, either for help defeating the Avengers, or to retrieve the Time Stone (which is currently residing in Strange's Eye of Agamotto). Of course, this is all just conjecture, and the third Avengers film is already packed with characters. It is also worth noting that, outside of Loki, Marvel villains tend to be one and done. Case in point: even fans who have long hoped that Red Skull would return in the MCU, have at this point all but given up hope.